Unfortunately, we were not able to get any of our team members out to Florida to experience the epic production put on by Insomniac. After seeing all the videos and pictures we were even more heartbroken about the fact we could not be in attendance. However, that does not stop us from providing you with with ALL of the available live sets from more then 20 of the top name artists that performed. So here is it! 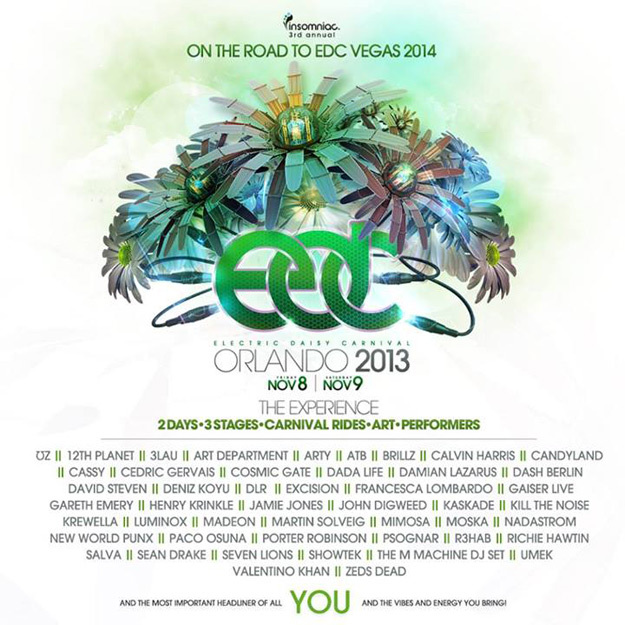 Live Sets from EDC Orlando 2013! !